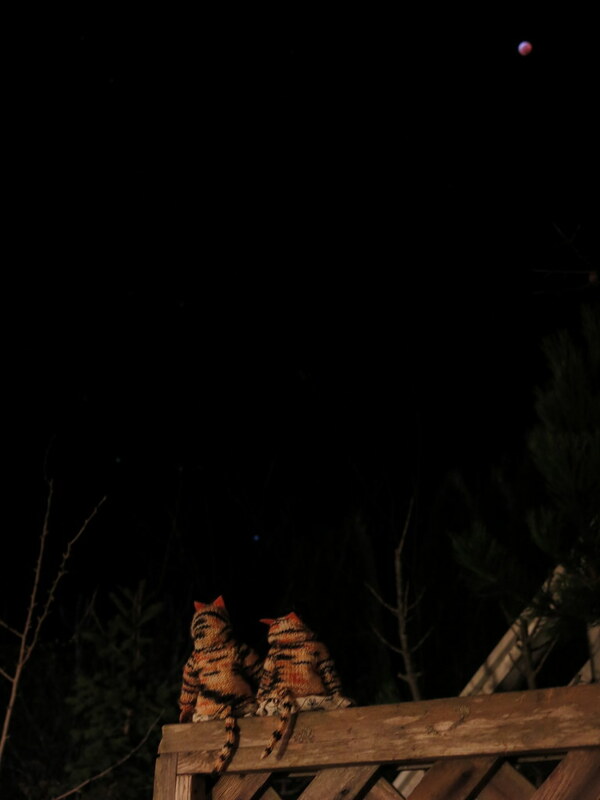 Opal and Agathe sat on the fence and gazed at the sky last night…. …they saw the Super Blood Wolf Eclipse of the Moon! The cat girls heard lots of people, dogs, and maybe a wolf howling at the moon at totality, but being Cats, they did not join in. 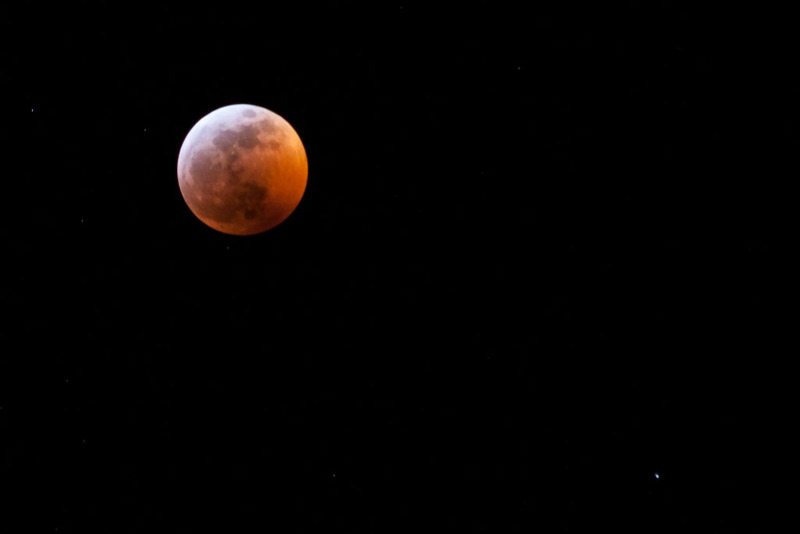 Thanks to our favourite photographer for the picture of the nearly eclipsed moon. Amazing photography…Superb description…Awesome participants!!! In and out the cupboard, the Quimper Hittys are a blessing. It is a privilege to be their friend…thank you for all the information you share and the joy you spread! Thank you very much…the inhabitants of the cupboard are glad that you are their friend! Beautiful photo…adorable hittys…thank you for sharing this with us. You are welcome! We were excited by the eclipse, especially the cat girls! I am so pleased to read such a clear description of what is transpiring with the moon at this time…and to see the “feline” Hittys a part of it…well, nothing could be finer than that….thank you. Astronomical events are of great interest to this household, one of our ancestors was an actual astronomer and taught us to love the night! great photos!!! We also viewed the event but there were no little cat girls to keep us company. Your cats were Very probably and sensibly snuggled up somewhere warm, or out catching mice! Thanks so much! makes me feel like I was there too! There is a huge ring around the moon tonight. We felt very lucky, there is often too much cloud cover around here, but it was a lovely clear evening and we could see the entire eclipse!